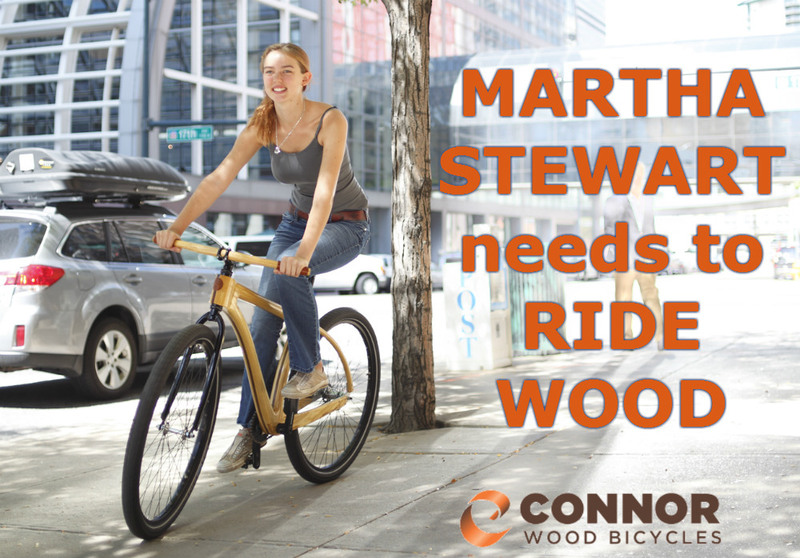 Martha Stewart American Made – vote for wood! – Connor Wood Bicycles — Wood bikes from Denver Colorado. I’m a design finalist for the Martha Stewart American Made competition. It’s wood bicycles up against tea cosies and epicurean pickle forks. Who out there wouldn’t like for wood to put the smack down on the uber crafters of the world? I sure would. Best of all, wouldn’t it be awesome to see Mrs. Stewart riding one of these bikes. I think it would blow her mind. Vote for me and make it happen. This is a big popularity contest so I need your vote. Share this, like this and let wood rule. Go here! Share this and Tweet it to pieces. Get Martha on the wood! ← What are people saying?